This document describes the external trigger alert system designed to run in the LIGO observatories' control rooms. 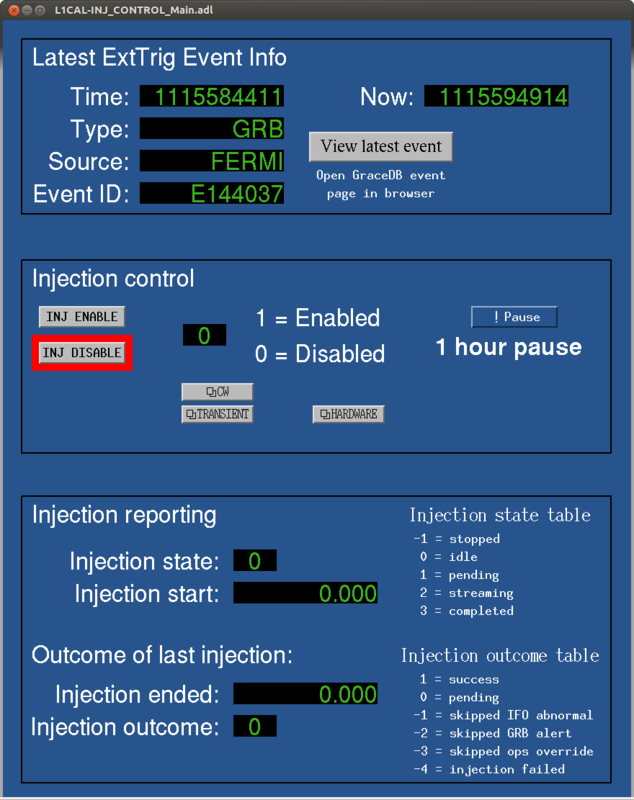 This is a python code that queries GraceDB for recent external trigger events and populates EPICS channels within the control room system with event information (GraceDB ID, time, type, source). The code also disables hardware injections for a set period of time upon receipt of an alert and provides a heart beat after each successful query for process monitoring purposes. 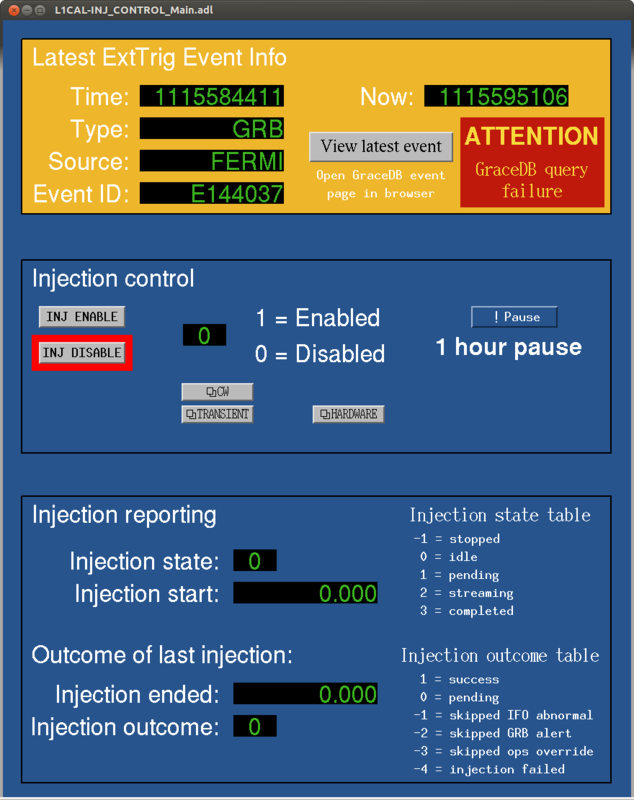 An accompanying MEDM screen displays all this information for users and features a button that will open the GraceDB event web page of the latest external trigger event.